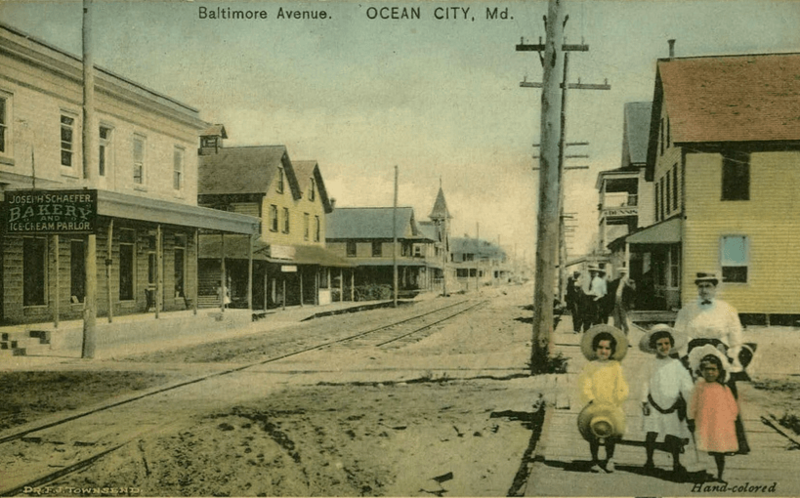 The Ocean City Ghost Walk will begin at the Ocean City Lifesaving Station Museum at the Inlet-end of the Boardwalk and end at the Henry Hotel, making a circular sweep from the Inlet to 4th Street. Stops include the Ocean City Lifesaving Station Museum, the Henry Hotel, Trimper’s Rides, the Atlantic Hotel, the Tarry-A-While Guest House, Perdue House, and the Shoreham Hotel. Burgoyne hopes to have a dozen stops with rich, “ghostly” tales at each one. She will impart a loose but powerful history of the town as the setting and then tell stories about unexplained happenings, apparitions, and tales of the dead … in some cases, the walking dead. Burgoyne also challenges the guests to examine their own psychic abilities and discover whether or they tend to be more clairvoyant (seeing apparitions), clairaudient (hearing things from the spirit world) or clairsentient (absorbing feelings from the spirit world). Burgoyne conducted twenty-six face-to-face interviews when preparing the tour including Sandy Hurley from the Lifesaving Station, historians George and Sue Hurley, Charlie Purnell from the Atlantic Hotel, Brooks Trimper from Trimper’s Rides (and several Trimper’s staff) and welcomed help and advice from Glenn Irwin of the Ocean City Development Corporation and Lisa Challenger, Director of Worcester County Tourism. In addition the formal interviews, Burgoyne conducted dozens of phone interviews and combed through genealogical records and the folklore collection at the Nabb Research Center at Salisbury University. The end result is a walking tour that highlights ghosts of hoteliers, sea captains, opera singers, fisherman, ghosts from shipwrecks, suicides and several ghosts believed to be Ocean City legends …. who just aren’t willing to leave, even though they’re dead. 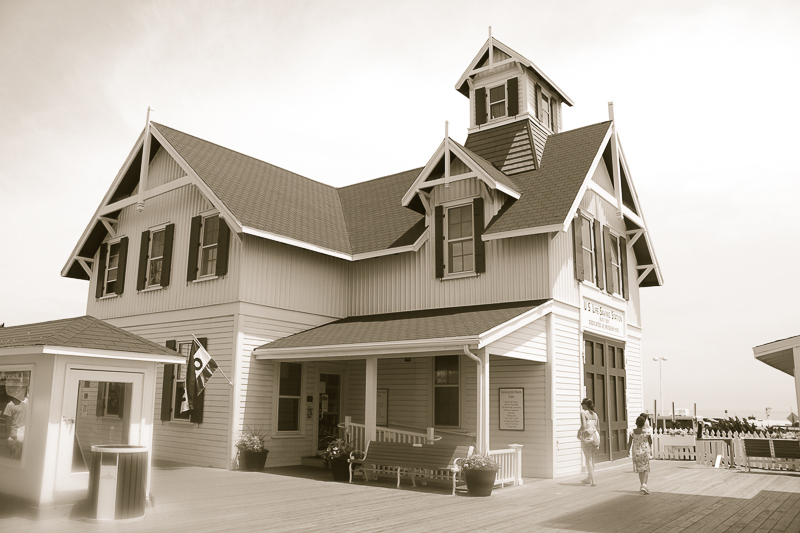 The Ocean City Ghost Walk takes approximately one and one half hours to complete and guests will walk about 1.5 miles. Good walking shoes and weather-smart clothing is suggested. Cost is $15 for adults and $9 for children 8 to 12 years old. Advanced registration and ticket purchase is required. Guests can purchase tickets on-line. Each tour is limited to 25 people and likely to sell out. There are 4 tour options – 2 on Friday evening (Aug 9) and 2 on Saturday evening (Aug 10). Chesapeake Ghost Walks is series of haunted walking tours crafted and led by Mindie Burgoyne that focus on small towns on the Eastern Shore. Towns include Easton, Cambridge, Denton, Crisfield, Snow Hill, Pocomoke, Berlin and Ocean City. St. Michaels, Princess Anne, Salisbury and Chestertown will be added in 2014.